Buttercream is dedicated to the FLAVOR and BEAUTY of EVERYTHING we create. At Buttercream, flavor and texture are just as important as design. 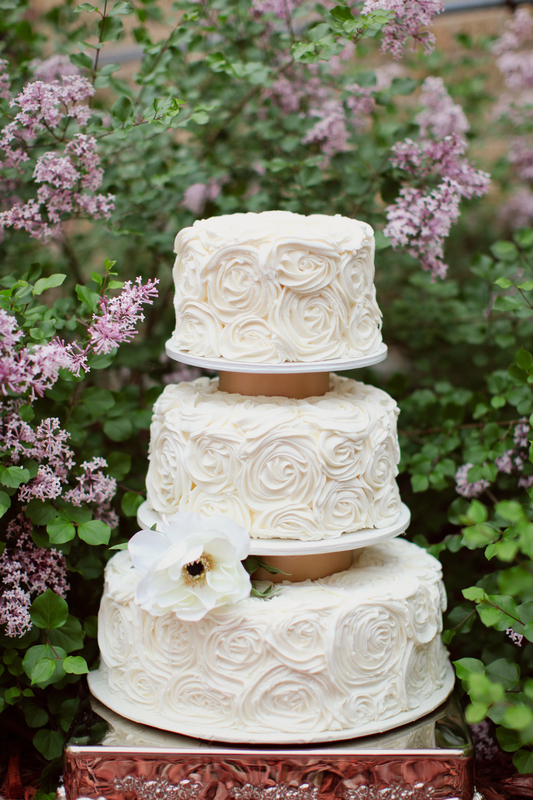 Our philosophy is that a wedding cake is first and foremost a dessert, meant to be delicious and celebrated. In a time when reality television popularizes the use of rolled frostings, we pride ourselves on not using them as a decoration. Generally, rolled frostings are peeled off and discarded when eating cake; because of this, we challenge ourselves to find new ways of applying chocolate and edible color to the exterior of our cakes, thus giving the client an artistic creation that is not just for show. We offer something that is 100% unique: We strive to keep our product all natural and therefore refrain from using preservatives, lard, or shortening. We start with cake that is baked from scratch and layer it with our signature fillings, including fresh-cut fruit. We use a light, smooth mousse made from heavy cream and white chocolate for our frosting and employ specially-honed techniques to give our cakes a smooth exterior with rounded edges, thus creating the desired look of rolled frosting while maintaining the integrity of the cake as a whole. Every decoration we then make is not only edible, but also eatable; our beautiful designs compliment the flavor of each cake. Buttercream is a leading cake company in Minnesota, creating innovative works of art without using rolled or even traditional buttercream frostings. We are setting a new standard for wedding cakes. Our cakes not only look amazing… they taste even better!